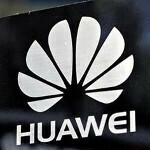 The super slim 6.18mm Huawei Ascend P6 is expected to be released on June 18th in the U.K. On Tuesday morning, a leaked ad for the phone was discovered showing a price of 2498 Yuan ($407 USD). The Chinese manufacturer has been all about setting new standards. For a while, the 6.1 inch Huawei Ascend Mate was the largest screened handset until out done by the 6.3 inch Samsung Galaxy Mega 6.3. And now the Samsung model is rumored to be getting surpassed, by the alleged 6.44 inch glass on the Sony Xperia ZU. The Huawei Ascend P6 re-writes the standards from another dimension. That slim 6.18mm thickness we alluded to earlier makes the Huawei Ascend P6 the thinnest smartphone for the moment and it will be equipped with a 4.7 inch display with resolution of 720 x 1280. A home grown quad-core 1.5GHz K3V2 processor is under the hood with 2GB of RAM on board. There is 8GB of native storage which is unfortunate considering that there is no microSD slot on the phone. An 8MP camera is around back and the 2030mAh cell powers up the unit. Android 4.2.2 is pre-installed with Huawei's Emotion UI 1.6 running on top. While the size of the phone might be enough of a novelty to generate some sales, this is not that strong enough of a device to battle with the big boys playing in the Android sand box like the Samsung Galaxy S4, HTC One and the Sony Xperia Z.
I hope Huwawei makes a 4 inch 720p screen phone with slim profile at reasonable price point. 8gb with no microsd expansion. Slim, 4.7 inch screen? So what. Unless it has Samsung, HTC, Sony, or LG's name on it, Don't buy it. Wow! Lovely phone, lovely design. Huawei is getting really better. Finnish operator Saunalahti claims it has microSD slot.